an antibody (also known as an immunoglobulin) is a protein produced by the body’s immune system when it detects harmful substances, called antigens. 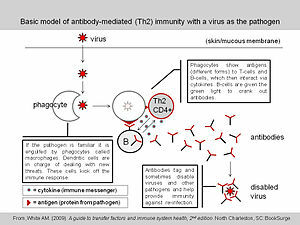 Each antibody responds to and binds to a particular antigen. They are in the shape of a Y comprised of 4 polypeptides; 2 heavy chains and 2 light chains. Antibodies are produced by B-cells, a type of lymphocyte. When healthy tissue is mistaken for something harmful and antibodies are produced an autoimmune disease can develop. Antibody Resource Page – Home. Therapeutic Antibody Pioneers Get Spain’s Top Science Prize – ScienceInsider. Thiiiiis is pretty freakin’ cool. I ♥ science. 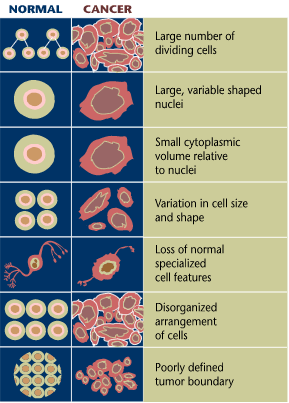 Microscopic scales weigh up cancer therapies – health – 16 November 2011 – New Scientist.